Say good bye to crowded beaches and endless theme park lines. Imagine yourself rocked by gentle waves, watching dolphins play in your wake and hearing the call of sea birds as you soak up the sun under an endless azure sky. 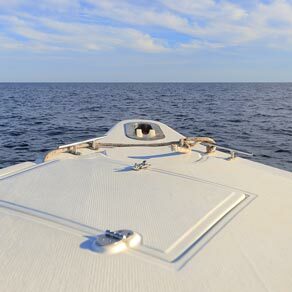 A day on the water in an Abe’s rental boat will give you a front row seat to Florida’s amazing marine environment. Learn about popular boating destinations in the Englewood area. On a pontoon boat, cruise the Intracoastal Waterway, explore tucked-away channels and discover islands and unspoiled beaches accessible only by boat. Or, reel in “the big one” aboard one of our center console fishing boats. 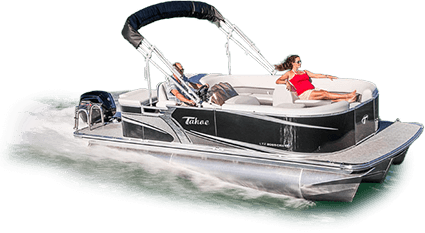 High Quality Rental Boats at Affordable Rates. Quality doesn’t have to mean costly. We have top-notch pontoons and fishing boats for rent starting at $225 for a half day*. No costly membership contracts. Rent on a weekly or monthly** basis and save money! Read more about our rates. *Rates do not include 7% sales tax or fuel. $300 refundable damage deposit required. A half day is 8am – 12pm or 12:30pm – 4:30pm. A full day is 8:30am – 4:30pm. Read more about what’s included in your rental rate.